A GROUND FLOOR MAISONETTE with its OWN GARDENS and a GARAGE, situated in this popular location this TWO DOUBLE BEDROOM home also offers a refitted shower room and kitchen a long lease and NO SERVICE COSTS making this the ideal first time or investment purchase. Double glazed front door set beneath canopy storm porch. With access to all rooms, radiator, two storage cupboards. With a double glazed bay window to front aspect, feature gas fire with mantle, TV points and radiator. A modern fitted kitchen with a range of eye and base level storage units, work surface areas, stainless steel sink with mixer taps set below double glazed window to the rear, built in double oven with four ring hob and extractor , housing for fridge freezer, plumbing for washing machine, radiator, tiled surrounds, double glazed door to side access. With double glazed window to front aspect, radiator. With double glazed window to rear aspect, fitted wardrobes and over head storage cupboards, radiator. 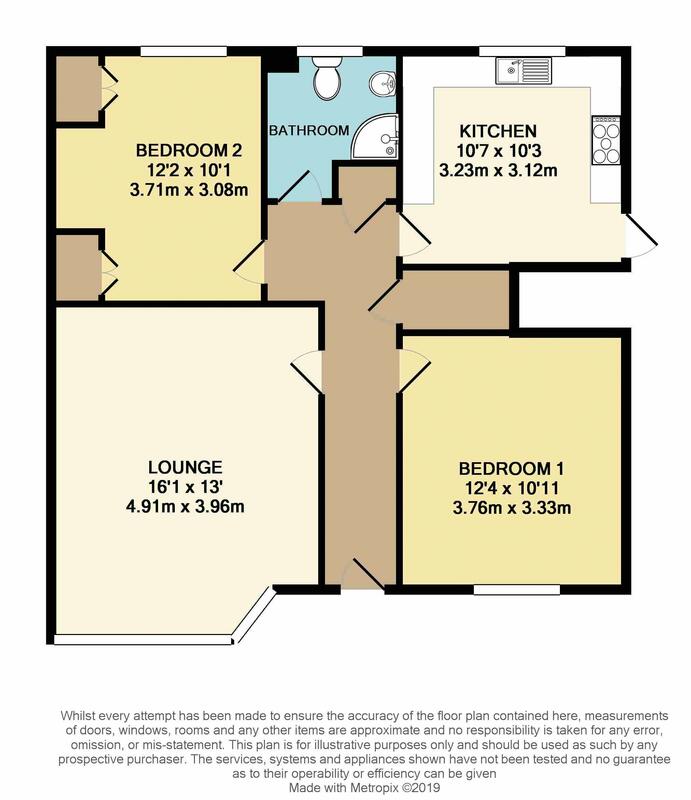 A three piece suite comprising low level WC, pedestal wash hand basin, shower cubicle, tiled surrounds, double glazed window to the rear, radiator. In a block close by. Open plan front garden laid to lawn with surrounding borders, path to the front door. With side access, laid to lawn. As advised by the vendor.n135 Year remaining approximately nWith Nil service charges or ground rent. Find out how much your property is worth by using our free, no-obligation, instant market appraisal tool. Fill in your details below and we will get back to you to confirm a date and time for your visit. Thank you, your visit request was successfully submitted, we will be in touch shortly to arrange an appointment. Fill in your details below and we will get back to you to confirm a date and time for your call. Thank you, your call booking request was successfully submitted, we will be in touch shortly to arrange an appointment. Fill in your details below and we will get back to you to confirm a date and time for your viewing. Thank you, your viewing request was successfully submitted, we will be in touch shortly to arrange an appointment.